For most courses, you will need to complete an application form, which you will find included in the relevant regional or national education programme. Your application will need to be signed by your branch education co-ordinator or branch secretary. They will then forward it on to the relevant education team. If you are unsure who you need to contact, please get in touch with your regional education team. 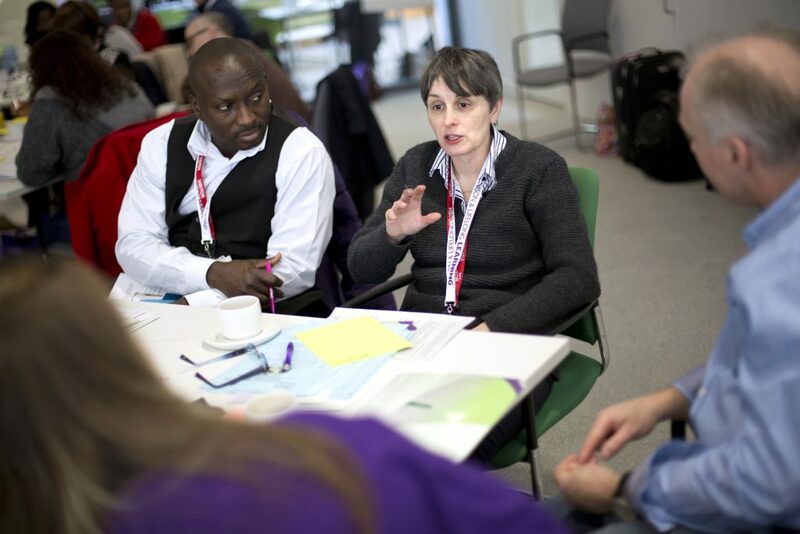 UNISON pays for the activist training courses and materials for courses. Where there is a charge, it is to branches, not to you. Some member learning is also free to learners. Stewards, health and safety reps and union learning reps have the right to paid time off for training in their union duties in workplaces where UNISON is recognised for collective bargaining by the employer. This includes part-time activists and also applies to online courses. The Trade Union and Labour Relations (Consolidation) Act 1992 sets out the basic rules governing union reps’ rights to paid time off for union duties. Practical guidance on how the law should apply is laid down in an ACAS code of practice. It is best to give several weeks notice to employers and to provide managers with information about the course as required. If you or your branch are experiencing difficulties in obtaining time off for union training, contact your region. We will provide course materials in large print or Braille, or printed on coloured paper, and provide facilitation on UNISON courses, as long as your requirements are clear when you complete the course application form. If you have childcare or other caring responsibilities and you are attending training away from home or when you would not normally be at work, UNISON or your branch will provide a crèche or cover the cost of care. UNISON Learning and Organising Services has a policy regarding overnight accommodation for nationally organised courses. UNISON regions will have their own policies regarding accommodation for regional courses. UNISON courses are friendly and informal, and designed on the principle that everybody has equal rights to participate in, benefit from, and contribute to them. Participants will often work together in small groups. There are no tests or exams, and learners will not be lectured to or suddenly called on to give answers. All courses abide by a standard set of guidelines, known as ‘Working Together’. These include guidance on the avoidance of language or behaviour that may cause offence or hurt to other participants, and are intended to ensure that everyone has a comfortable and enjoyable experience.